It’s understandable if large numbers of the UK population have switched off from the whole Brexit debate and the ‘will we, won’t we’ keep any ties at all to our European counterparts after March next year. A few ears seem to prick up when news of another resignation leaks out or former Cabinet members take to their feet in the Commons to lambast the Prime Minister’s policies and negotiating stance. But once the dust settles and people with half an interest in their country’s future actually pick through the content of the Brexit White Paper, the document at the heart of the current rumblings and machinations, they will find some critical environmental and energy updates well worth a read. We were delighted to read an extensive summary of the key points by our friends over at Edie and reproduce it below to share the news with our customers in the hope that we can all pull together to overcome any political differences and ensure the UK builds on its position as a global leader in this field. We can apparently replace Government ministers at the drop of a hat, rebuilding our reputation on the global stage if things go against us in terms of environmental and energy policies would take considerably more time and effort. The Government has published its much-awaited Brexit White Paper, which includes a non-regression requirement to ensure environmental standards do not slip lower than existing European Union (EU) regulation. 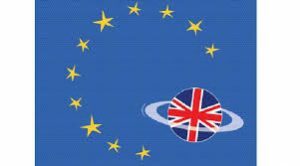 The UK Government’s long-awaited Brexit White Paper outlines proposals regarding existing legislation deriving from the EU on aspects such free movement of people, trade deal tariffs for products and environmental stewardship and climate action. The 104-page document was revealed to MPs by Brexit Secretary Dominic Raab and formalises the plan for a “softer” and “greener” form of Brexit agreed by Ministers at Chequers. The paper, which ministers will now present to the EU in the hopes of securing a trade deal by this autumn, confirms that the UK will seek to “maintain a common rulebook for the standard of all goods” with the bloc. Crucially, it additionally states that there will be “no regression” of existing EU regulations on air quality, water pollution and waste management after the UK’s departure. Speaking to MPs at the House of Commons, Raab said the White Paper provided the blueprint for a “principled, pragmatic and ambitious future partnership between the UK and the EU”. “There should be a firm commitment in the withdrawal agreement requiring the framework for the future relationship to be translated into legal text as soon as possible,” Raab added. At a broad level, the White Paper says the Government will end the free movement of people at the end of the transition period in December 2020 but will acknowledge the “depth of the relationship and close ties between the peoples of the UK and the EU” by allowing businesses to “move their talented people” across borders without a visa. It also sets out and a “facilitated customs arrangement” in which the UK would collect both UK and EU tariffs for goods entering Britain. However, it is through the lens of the green economy that the UK Government is pursuing “world-leading” legislation. The document states that the UK will commit to “high” regulatory and environmental standards and continue its “world-leading” ambitions on climate change. The paper notes ongoing commitments to domestic climate ambitions post-Brexit, while the Common Agricultural Policy will be replaced with a new framework. To achieve these aims, ministers have proposed that a “common rulebook” underpinning the environmental standards for all manufactured goods, including food and agricultural materials, should be created to preserve the “deep economic partnership” between the UK and EU. The document “would cover only those rules necessary to provide for frictionless trade at the border”, the White Paper states, adding that the rules for imported products will “set the requirements for placing manufactured goods on the market”. It additionally asks the EU to collaborate with the UK in signing a “non-regression” clause regarding environmental standards and requests that the two bodies should work together “to solve shared global environmental challenges” post-2019. The revelations come after Environment Secretary Michael Gove told members of the Environmental Audit Committee (EAC) at a hearing on Wednesday (July 11) that the opportunity for ministers to set different standards to those enforced by the bloc would “unquestionably” lead to tougher regulations being introduced. As for electricity and gas, the White Paper does not confirm how the UK’s energy relationship with the EU will work in the future, speculating that it could either leave or remain in the Internal Energy Market (IEM). It states that if the UK leaves the IEM, it will explore measures of ensuring trade over interconnectors would continue without automatic capacity allocation. If the UK remains formally committed to the IEM – a move trade body Energy UK has been calling for – the White Paper states that “common rulebook” covering the technical rules for electricity trading, such as carbon pricing and market coupling mechanisms, should be established.